New free stuff! DIY Hoop Journal. Whether you are celebrating the solstice the new year, or World Hoop Day, here is a gift from Spin Matsuri to you – a DIY hoop journal. Keeping track of your hoop journey on paper has many benefits. You can see progress over time, recall moves you worked on, note your inspirations and sketch out new ideas. Now you can put everything in one place, a journal that you can carry with you. 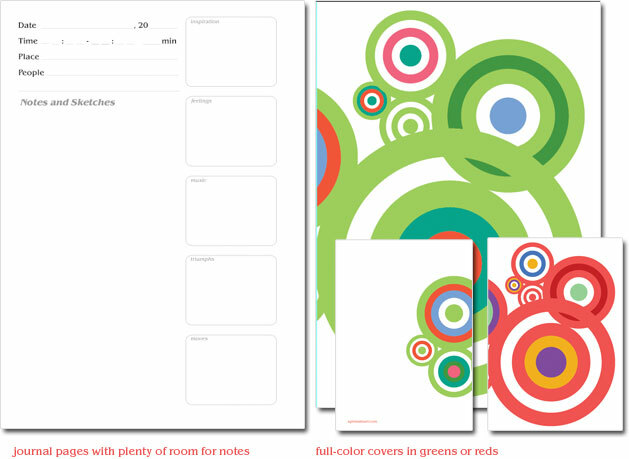 We’ve supplied page templates and two colorful cover options. Take them to your local copy shop to put it together. Make a few and gift them to your hooping friends!